Our private vacation villa on Lovina Beach, north Bali, is for rent. The vacation rental consists of two separate luxury villas, each with their own private pool and both directly overlook the Bali Sea. 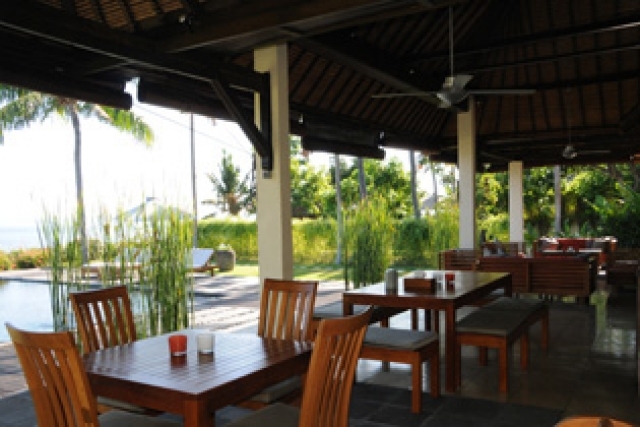 The vacation homes are surrounded by a tropical garden of some 2600 m2 with a 50 meter beachfront on Lovina beach. Villa Insulinde is the larger vacation home for 2-6 persons, the Lumbung a completely separate and smaller vacation home for 2-4 persons. The vacation villas are situated in the town of Dencarik just outside Lovina on a quiet road, some 800 meters from the Singaraja - Siririt highway. Villa Insulinde has 3 bedrooms, each with their own bathroom, a large living room, kitchen, dining room, terrace and swimming pool of 6 x 12 m. The Lumbung has 2 bedrooms, each with their own bathroom, and a dining room / kitchen situated on the first floor with magnificent views over the Bale Sea and mountains. The Lumbung has a separate swimming pool of 4 x 8 m.
The villas have a permanent staff of 6, consisting of 3 cleaners, 2 gardeners and security. 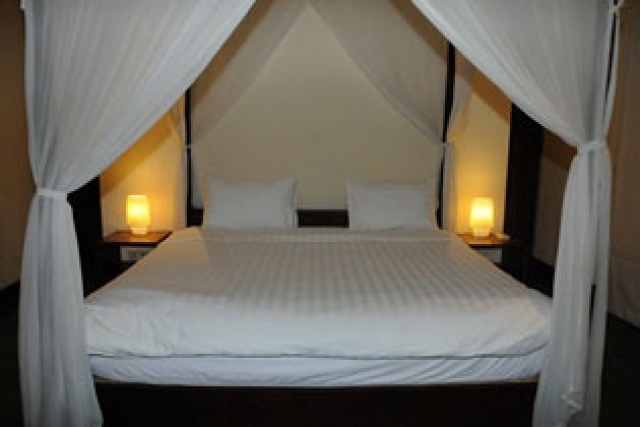 The vacation villas can be rented separately or together, depending on the number of persons. The price is per night for two people in low season (170 euros in mid-season and 270 euros in high season). For each additional person 10 euros per night.